Chimney fires occur when there is fuel in your chimney to feed it. By fuel, we mean creosote and tar which can accumulate in all types of chimneys – masonry, or metal, where wood burning appliances are vented. 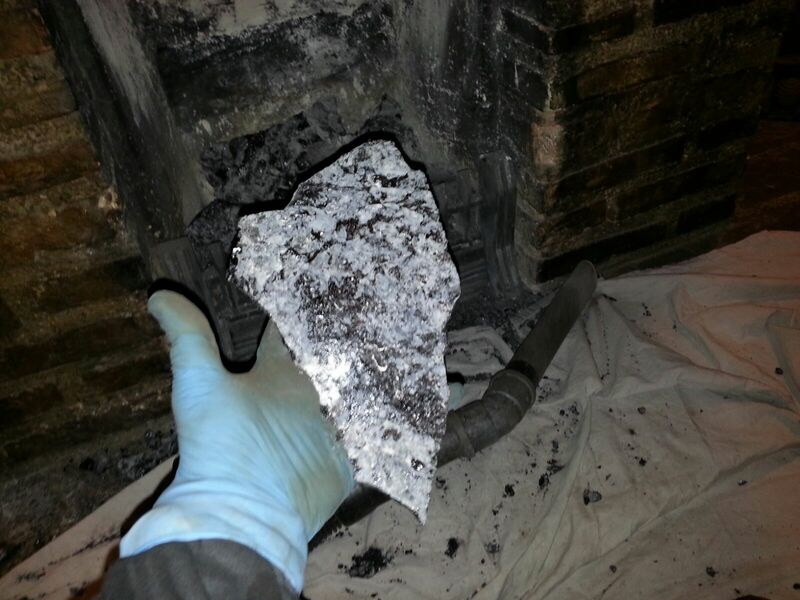 Creosote and tar are combustible and if it is set afire the resulting chimney fire is extremely hot, in some cases reaching over 1,000 degrees Celsius. A chimney fire can melt through even a well-built safe chimney, setting the building on fire. What causes creosote and tar build up? -The frequency of chimney cleaning and the thickness of existing creosote and tar deposits. A chimney fire could quickly spread and destroy your home. The temperature of a chimney fire can exceed 1,000 degrees Celsius – this will damage any liner you may have and almost certainly require relining. The high temperature of the chimney fire can even damage the bricks of your chimney stack and in some cases requiring your chimney stack to be rebuilt. How to tell if you have tar or creosote? In the vast majority of cases, we can easily remove it for you. It requires a chemical powder treatment which is non-intrusive and typically completed within 1 week. Go from a chimney fire risk to a safe chimney within just 7 days! We would clean your flue and then spray the chemical, which is a powder, up your chimney. The powder sticks to the creosote and tar and lines the entirety of the flue. Then, each night for 4 nights, you would light a fire, the heat from the fire makes the chemical react with the tar and creosote which breaks it down. After a week we clean the chimney again and the creosote and tar easily comes off. In extreme cases an additional application of the chemical could be needed but the majority of flues only require one treatment. Just call us on 01223 964305 or email bookings@ablewightchimneyservices.co.uk to book your Cre-Away treatment.